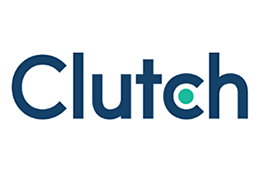 Clutch spoke with Jay Jurisich, the founder/CEO and co-creative director of the naming agency Zinzin, as part of a series of interviews on the trends and best practices around naming a company. Learn more about Zinzin on their Clutch profile or at zinzin.com. Please describe your company and your role there. Zinzin is a naming company. We name companies, products, and services. I am the founder/CEO and co-creative director. What should a business consider before beginning the naming process? First, they should deeply consider their motives for naming. For instance, are they a startup with no name yet? Are they facing a legal challenge over their name? Is this a consolidation after a merger? Are they launching a new product or product family? It’s important to understand exactly why you need a new name, what is to be named, and what you want the new name to accomplish before you begin this journey. Once the parameters for a naming project have been defined, the single most important question is: What is the brand positioning for this company, product, or service? What is the big picture story you want this brand to tell to the world, and what is the unique tone and personality to best do that with? This is where we begin all of our naming projects, helping our clients define the positioning for the brand we are naming. Once you determine the brand positioning, you should only consider names that map strongly to that positioning. In fact, in order to create a successful brand name, you must have a well-conceived and interesting brand positioning story to tell, and any names you consider must map to and support that brand positioning. Anything less is like throwing darts in the dark while drunk. What are the stages of developing a name? Week 1: Intake, Brand Assessment Workbook, kickoff meeting/call, Competitive Namescape brief, Brand Positioning brief, in-person or virtual brand positioning workshop. Week 2: Round 1 name development and presentation. Week 3: Round 2 name development and presentation. Week 4 (for larger projects): Round 3 name development and presentation. Week 4/5: Finalizing the project, linguistic connotation screening if necessary, name evaluation consultation with client, final trademark attorney buy-in. How does a name contribute to the success of a brand? There are really three components to determining whether a brand will be successful or not, or be as successful as it can be. The first is that the brand has to have a very well thought out and interesting brand positioning. Essentially, that’s the big picture story the brand wants to tell the world and the unique tone and personality to best do that with. The second component is a strong, powerful, unique, and memorable name that maps to and supports that brand positioning. Finally, the brand has to deliver the goods–it has to come through and deliver on the brand promise. If any one of these three components falls short, the brand will have a lot more trouble becoming successful, or it won’t be as successful as it otherwise could be. What are the elements of a good tagline? A lot depends upon the name. In many situations, if we’re creating a powerful, evocative brand name, then we would probably advocate for a simple, straightforward, perhaps even descriptive tagline. At that point, you don’t need to create another evocative piece of messaging that could cause confusion, competing with or diluting the power of your brand name. As an example, our brand name is Zinzin. Our tagline is a very functional descriptor – ‘A Naming & Branding Agency’ – that’s it, it’s very straightforward. If a brand has a weak name, perhaps a generic descriptive name or run-of-the-mill experiential name, then there’s a lot more need for a powerful tagline to create interest in the brand, to spice it up, to create something that people are going to have an emotional engagement with. But such secondary messaging will never fully makeup for a bad name. Do you consider the visual components while you’re creating names for companies? Absolutely, we look at all aspects of a name. We look at the visual component of the name itself, but also the visual association that the semantic meaning of the name might create in the minds of the audience. We also consider the sound of the name, the pronounce-ability of the name, sound of the name when spoken, the emotional temperature, linguistic considerations, a number of different qualities of the name itself. What are the attributes of a strong, memorable brand name? What is the most successful type of name? To be the most successful, a brand name should spark the imagination, invite conversation, stand out from the pack, and be memorable. Usually, if it succeeds in a couple of those areas, it succeeds in all four. Sadly, most brand names fail to achieve any of those goals. Are certain types of name more popular in certain industries? Not really. Some industries are definitely more conservative and are dominated by boring, ineffective, non-engaging, and off-putting low-level descriptive, invented, and experiential names. Other industries, like apparel, advertising/design/marcomm agencies, beer/wine/spirits, restaurants/bars have a high concentration of powerful, effective evocative brands. But those industries are definitely in the minority – most company and product names in most industries just have terrible names, regardless of industry or type of name. What are the components of a successful invented name? Have you run across any problems with invented names? For an Invented name to work, the requirements are very easy to articulate, but incredibly difficult to achieve in practice. That is exactly why we gave ourselves such a challenge with our own name, which many people might assume is invented (see above). Basically, for an invented name to succeed, it has to be short and sweet, rhythmic/poetic (alliteration and rhyme are good), be visually appealing, be easy to pronounce, and fun to say. That’s it. But it’s very hard to pull off. The biggest problem with the legions of failed invented names are that they are often cold, alienating, ugly, hard to say, and blend in with all the other such names in their industry, so that even if you cared, you’d be hard-pressed to tell one such brand from another. If a company has products that they also need to name, does that influence the types of names that you will consider for a company? Potentially, but it’s more important to create the powerful company name first, to really understand the brand positioning and what the name needs to say. When you get to the point of naming products, it’s important to create products that work philosophically with the company brand name. Depending upon the thing being named, sometimes the company brand name can be synonymous with the products. In a different case with a really good and dominant company brand, it might make more sense for the products to have descriptive or plain, straightforward experiential names, just to drive the equity up to the company umbrella brand. An example of that would be Apple. Many of Apple’s core products have very plain, generic names like iPad, iPhone, Watch, Pay, iTunes, but they’re driving the equity up to the Apple brand. So, it’s all about the Apple brand. There are other companies that have put a lot of focus on the individual product names, like Intuit, in which the company name almost disappears in the background. Everybody knows Quicken, Quick Books, Turbo Tax, et cetera, but most people don’t think about Intuit, the company behind all those products. It’s two different approaches. Most companies are in the middle, they have a mix, and they might have a hodgepodge of names in their product portfolio that don’t really make a lot of sense together. Usually, that’s the result of many years mergers and acquisitions, bringing new products onboard, having different strategies in place when naming different products – it’s usually scattered all over the place. We work to bring as much clarity as we can to the brand architecture and help our clients understand the value of aligning their messaging in a clear, coherent story. Do you have some clients that are hesitant to consider some of the more non-conventional names? Sometimes, and the way we convince them to get past that fear is really the essence of our process over the course of three or four weeks. It’s through a series of deep discussions at each stage of the process that we really get our clients to understand how a powerful, evocative name is going to separate them from their competitors. A unique, memorable name will provide a company a lot of value going forward in all of their marketing efforts, including great word of mouth, social media buzz, and press interest. Essentially, you’re creating a concise piece of targeted poetry that is evocative, memorable, and that sticks with people – that is the goal. The real value of a name is that it is an opportunity to demonstrate who you are right up front, in a primary way. A name shouldn’t try to communicate what you do – that’s for secondary messaging – but it definitely should be the avatar of who you are and why you are what you are. A name will always live in context; it will never exist in a vacuum. There will always be a website, a conversation, a business card, an advertisement, around a name. That’s something that companies have to understand when getting over the fear of creating a powerful, evocative name that stands out from everything else. The only time a name exists in a vacuum is when you’re going through the naming process, and there’s no context yet. That’s why an integral part of our process is to develop a story context around each name to help flesh it out as much as we can, to make it become real for our clients. That way it doesn’t seem like it’s an abstraction or something that is coming from left field that they don’t understand. We use a lot of real world examples of companies that succeed with “non-conventional,” evocative names. Most of the brands that people remember and gravitate to have powerful, interesting names that set them apart from the pack. And that’s equally true for B2B companies as it is for B2C brands, because, ultimately, it all comes down to the reactions of individual humans. Do you think that a name can go too far in any certain industry? In theory, no, in practice, perhaps, but it depends on the industry and every industry is different. Some industries are much more conservative, some industries are pretty far out. We recently finished project naming an advertising agency, and in the advertising, design, and communications space, almost every conceivable evocative name – even ones that are very far out – have already been used. It’s pretty much impossible to do anything that is too far out in that industry. The same is true with restaurants, beer/wine/spirits, apparel, et cetera. But if you’re talking about insurance or sales software, it’s much more conservative. The parameters are much more narrowly defined. It’s easier to push the limit and easier to stand out in those industries where most of the competition is doing its best to blend into the background noise. How do you think social media has affected the naming process? It hasn’t really affected the naming process per se, but it has affected the power of brand names out in the marketplace. It’s ratcheted everything up. It used to be that brands just communicated by phone or email with people in an industry and with the press. Now, social media is like another front of the press that can potentially create even more traction for brands than the press. Social media really amplifies the word of mouth component. One of the big pluses with having a great name is the word of mouth value. People want to say the name, they want to talk about it, and they want to share it with other people, so a great brand name is a natural for social media. If you have a weak, boring name, nobody will want to talk about it on social media because to do so will automatically make their social media posts boring. That goes for the press too. When journalists want to do interviews in a specific industry, if they do a Google search and they see twenty different companies that sound the same, they’re going to want to contact those companies or brands that are different and standing out. They figure these people will have something interesting to say, because they’re demonstrating that they can say something interesting right up front with their name. Has the need for a domain name influenced the way you develop names for companies? Occasionally it does, in that when a client absolutely requires an exact-match dot-com domain name, then we have to charge a premium for domain name screening, since we have to develop many more names, as a huge percentage are knocked-out of contention for lack of an available, parked or dead domain name. How important is it for a company’s name to match its domain name exactly? For most brands in most industries, it is of nearly zero importance for the brand name to exactly match the top-level domain. We advise companies all the time not to let domain names dictate their choice of names. It’s far better to have a great brand name with a modified domain name, or a non dot-com top-level domain, than a weak name with an exact-match domain. Thanks to Google and social media, brands can be easily discovered regardless of their Web address. The brand name should always have priority over the domain name; the only exception being Internet pure-play companies in which the brand and the domain are one. A great example is Tesla, one of the most iconic brands in the world, which is not found at tesla.com (a parked domain in India), but at teslamotors.com. And a great, very smart, recent example is Google’s new parent company, Alphabet, which is not only not located at alphabet.com, or even any dot-com, but at abc.xyz, forcing us to complete the meaning in our heads. Brilliant. Do you believe that a dot-com domain extension is vital? No. We are now in the beginning stages of an explosion of new, non dot-com top-level domain names, which will further dilute the hegemony of dot-com. We have recently named two companies that have been very successful with exact-match, but non dot-com, dot-co domain names, for example. What are the benefits of hiring a naming company? Gaining a thorough understanding of the competitive Namescape – the kind of names in your industry that work and that fail; the pitfalls and trend traps to avoid; and what it will take to stand out and differentiate among a sea of sound-alike brands. Corporate brand therapy – an opportunity for the group of people on the client naming team to come together and discuss their brand multiple times on a deep level, something that often never takes place within companies. Developing an inspired brand positioning and making sure it is reflected in the names being considered. Getting a radically new outside perspective on what kinds of brand names are possible, such as those that fall outside the purview of a thesaurus, which, in our Manifesto, we advise people to burn. Thorough in-house trademark and Google due diligence prescreening to insure you have at least a strong likelihood of being able to trademark a name before expending valuable time and emotional energy considering it. Help with additional trademark, linguistic, and domain name issues. Having an ongoing sounding-board you can trust for any future brand questions.